On August 9, Ferguson Missouri officer Darren Wilson shot and killed Michael Brown, an unarmed, African American teenager. Brown’s dead body was left in the street for four and a half hours, baking on that hot summer asphalt. 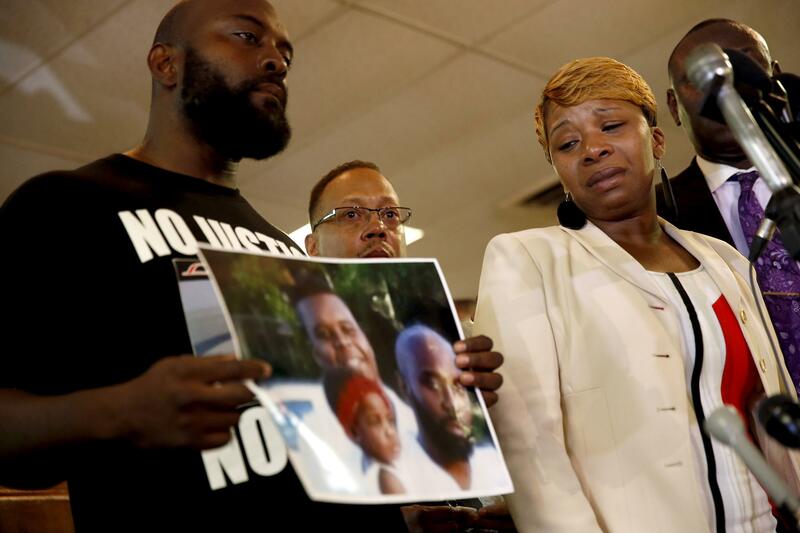 On August 25, Michael Brown’s parents buried their son, a young man who had been college-bound at the time he was gunned down. Tonight – 108 days later – Missouri prosecutor Robert McCulloch chose not to indict Darren Wilson for the shooting of Michael Brown, citing a lack of physical evidence and “conflicting eyewitness accounts” in the case. In a long, sometime rambling public statement, McCulloch blamed “social media” and the “24-hour news cycle” as “challenges” in coming to a verdict in the case. The fact is that there is no reason that the U.S. has to have so many deaths each year of its citizens at the hands of police. It’s simply not required. 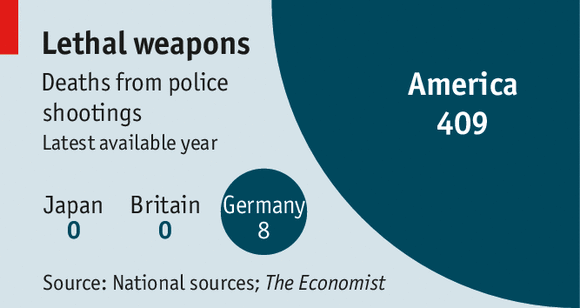 Other western, industrialized nations organize themselves differently, do policing differently, and have radically fewer police-induced-deaths than we do here in the US. These deaths at the hands of police, primarily of young black and brown men, is a choice. And, we can make a different choice. 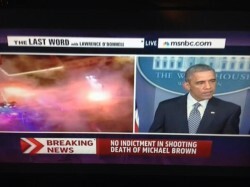 Shortly after the press conference by McCulloch in Missouri, President Obama made a statement from the White House about the events in Ferguson. 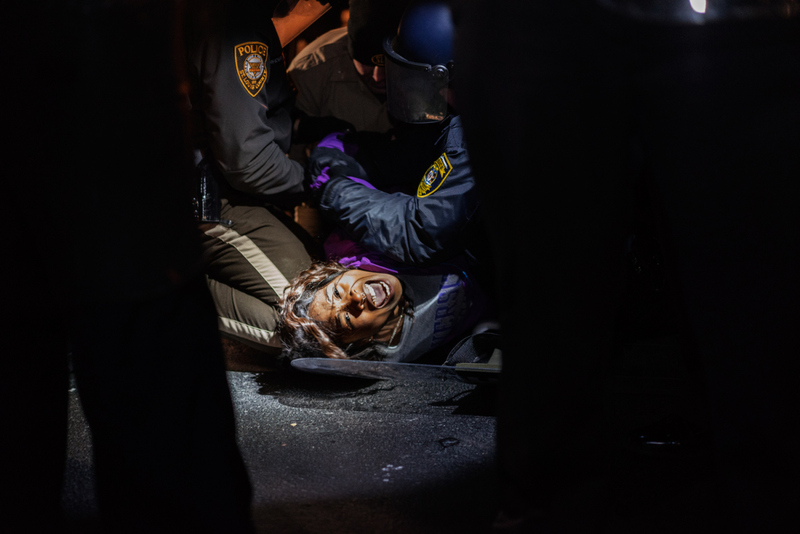 He began his remarks by emphasizing the “rule of law” and highlighting the need for “peace” and the importance of protecting “property.” As he began speaking, police in Ferguson began deploying teargas, resulting in a telling split screen of the President and the protests. On the same day that President Obama offered this tepid, muted and halfhearted support for the people of Ferguson, Missouri he also awarded civil rights heroes Goodman, Chaney and Schwerner the (posthumous) Medal of Freedom honor. Even as the prosecutor refused to indict Wilson and the President of the US moved to mollify collective outrage at the shooting, protestors were in the streets. Such protests speak to the deep rage at the continued injustice of the routine killings of young black people on the streets of the U.S. I want to know: where do I go to put my body upon the gears and upon the wheels, upon the levers, upon all the apparatus to make the destruction of black bodies stop?